File Comparison for PDF, DOC, TXT, RTF, XLS, PPT etc. Being able to compare documents easily, quickly and accurately is essential to your workflow. Now you can have it with 'Diff Doc' - your one-stop document comparison solution for file comparisons of all types. Regardless of the editor you are using (MS Word, Excel, Wordpad, Notepad or other), simply load the original and modified files, press the refresh button (or F5) and the document comparison will display promptly. You can also compare folders to see exactly what files have changed before running a detailed file comparison. 'Diff Doc' can display the file differences in two possible views, 'All In One' or 'Side By Side.’ Both views have their advantages and switching between them is as easy as a mouse click (or F6). Lastly, there is a large selection of report types and options available for sharing the differences found with your peers. 'Diff Doc' is the best document comparison tool you've never tried - until today! Click here to download and get your free trial. Compare documents and see for yourself. Need more details? Click here for full documentation. 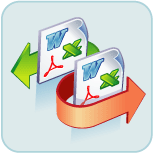 Our document comparison utility works the way that all software ideally would - accurately, quickly, simply and affordably. 'Diff Doc' was built to make file comparisons a quick and easy saving you time. You can even schedule/automate comparisons. Command line capability is fundamental to ALL of our software tools. We are always here to help you implement our software. Compare at the word or character level. See comparison side by side or all in one. Check! Compare documents of MS Word (DOC, DOCX etc. ), Excel, PDF, Rich Text (RTF), Text, HTML, XML, PowerPoint or WordPerfect. Retain your formatting. Choose any portion of any document and compare it against any portion of the same or different document. Word to word or letter to letter comparisons. See clearly what changed in a sentence, down to the letter. Compare files of any type against any file type (i.e. Compare PDF to a Word document). View differences with both 'Side By Side' and 'All In One' views. Change the colors and formatting used to highlight the document changes. Quickly compare files via easy integration in the Explorer Shell (Windows Explorer, Desktop and Find In Files.) Use the Right Mouse click to initiate. Explore paragraph differences in rich detail. Compare text from any application by cutting and pasting into 'Diff Doc'. Save any view in DOC, Text, RTF or HTML format. Create detailed HTML Reports for quick and easy printing and e-mailing of results. Both Side By Side and All In One compare reports are supported. See a sample HTML report. Run Text and Comma Delimited reports. Navigate easily through the file differences with the Next (F7), Previous (Shift+F7) and other navigation buttons. Use the drop down list box to jump to a specific difference. Compare folders first, then quickly see what files are different and compare them with a mouse click. Use with WorldDox, and any other document management software that supports third party file comparison applications through the command line. Click here for details. Adapt software functionality for all languages. Run file comparisons from the Command Line or build your own solutions by using the ActiveX COM interface (available upon request). Years of 'Diff Doc' development. Time tested for your demanding requirements. 'Diff Doc' is compatible with Office 97 through Office 2019. Yes, we've been at it that long! A brief overview of how our document comparison tool is used. Using 'Diff Doc' is as simple as copying and pasting (or loading) the files into the application and then pressing the "Show Differences" button or F5. 'Diff Doc' has powerful capabilities described in more detail below. Explore the functionality of each tab below. The 'Compare Files' tab offers important functionality that you will want to use often. There are 3 and up to a maximum of 4 editor boxes displayed. The top two editors are referred to as the "Original editor" and "Modified editor" (Hint: you can hide them by pressing F8). The text editors below are referred to as the 'Diff editor(s).’ You can see the differences between the Original and Modified editors within the Diff editors. The first step to comparing is to load both the Original and Modified editors either by selecting files, copying and pasting data, or composing new text. Use the File menu item to load files or position the mouse over the file you wish to load within Windows Explorer and use the right mouse click to display the context menu. Copying and pasting is done differently for different programs. However, in most cases, simply highlighting the text, and pressing CTRL-C will copy text to the Windows Clipboard. To paste, simply click on the Original or Modified text box, and press CTRL-V.
Once the Original and Modified editors contain information to be compared, press the refresh button or F5. You will then see the differences between the Original and Modified editors displayed in the Diff editor(s). Stop the comparison process by pressing the abort button on the toolbar . 'Diff Doc' will use the color codes and formatting in the table below by default. You can change these highlighting items within the 'Compare Options’ or View tab. Change has occurred. Original text is shown as red, bold, with a strike through, whereas the Modified text is shown in bold red. An addition to the Original document has occurred. It is shown in bold green. A deletion from the Original document has occurred. It is shown in bold blue with strike through font. Once the difference view has been refreshed, and at least one difference has been found, you can use the navigation toolbar and keys. Here are the commands you can use for quick, easy navigation through all the differences you have found when you compare documents. There is also a drop down list box in the toolbar that can be used to jump to a specific difference. The largest button within the toolbar will alternate the diff viewer between the "All In One" and "Side By Side" views. Typically, those dealing with literary content will like the "All In One" view, whereas programmers dealing with source code will like the "Side By Side" view. Alternating between views also gives you a feel for how the red-lining really works. The "Report" button (or F2) will create the report as specified in the "Report Options" tab. You can also print or save any of the editors by using the right mouse button or selecting the editor with the left mouse and then go to the file menu. The "Swap text" button or F9 will take the text within the Original and Modified editors and exchange them, and then automatically refresh the diff viewer. Ignore lines that are completely empty when doing a file comparison. White space characters alone will make a line not empty. When set, a system beep will occur when the file comparison has completed. To do a pure text comparison, check this option to remove all formatting when comparing documents. Compare to the letter if enabled, otherwise by the word. Pressing the F2 creates the report after a comparison has completed. The " Report Options" tab allows you to select the type and style of the report created. There are 4 report file types: MS Word, HTML, Text and Comma Delimited. MS Word style reports come out with the best detail and have options to specify exactly what you want within report. HTML reports have an additional option of specifying either "All In One" or "Side By Side" view. Once the report is created, it is shown in an appropriate application. DOC is shown in Microsoft Word and HTML reports are shown in a browser. You will be able to save, print and email any of your reports. Other reports may show up in Notepad, which can be printed, edited or saved from there. After reading about Word DocDiff here, I recently downloaded the trial version from the Word DocDiff website http://www.SoftInterface.com. I found the interface very useable and the results (for my purposes) were quite good. It can provide several different views illustrating the changes made to the document as well as a combined "redline" document in word format showing all of the changes. It can also provide a report identifying the page and paragraph number where the changes are located. "I found a product called Diff Doc that seems to work quite well for comparing Word documents against other Word documents! (I don't know how well it works with WordPerfect, though the documentation claims that it is supported). Like many of you, I was looking at DeltaView and was very upset at their inability to work with us on the pricing structure. Diff Doc can also run from command line, so integration with document managers is a snap (the author modified the code over a couple of hours for me to get it to work with WORLDOX Versioning. In return, I wrote his FAQ on WORLDOX integration). Download an evaluation copy at www.softinterface.com - Troy Piersma, excerpt from aTechnoLawyer Newsletter. Smartreviews review of the software. As seen in "Inside Microsoft Excel".